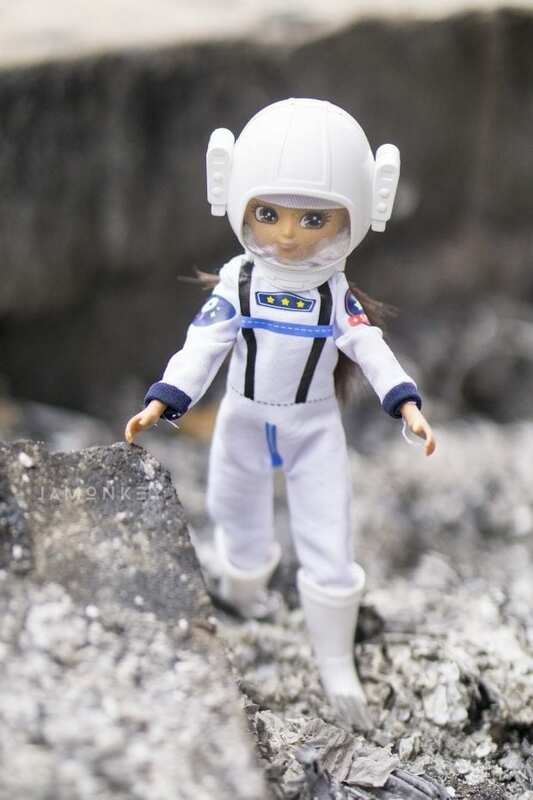 Lottie Dolls are age appropriate dolls for girls that have fun themes, including STEM learning, and we can't wait to share them with you. We were sent the award-winning dolls to review for S.T.E.A.M. Saturday and we couldn't be more in love. They have won the Positive Role Model and the Space Age Awards from Little Scientists. If you've ever looked at dolls for girls you'll notice one main thing, they are all grown up dolls with full makeup and breasts. Lottie Dolls are designed to look just like a child and that makes them age appropriate for girls. That's one of the main reasons I love them so much. 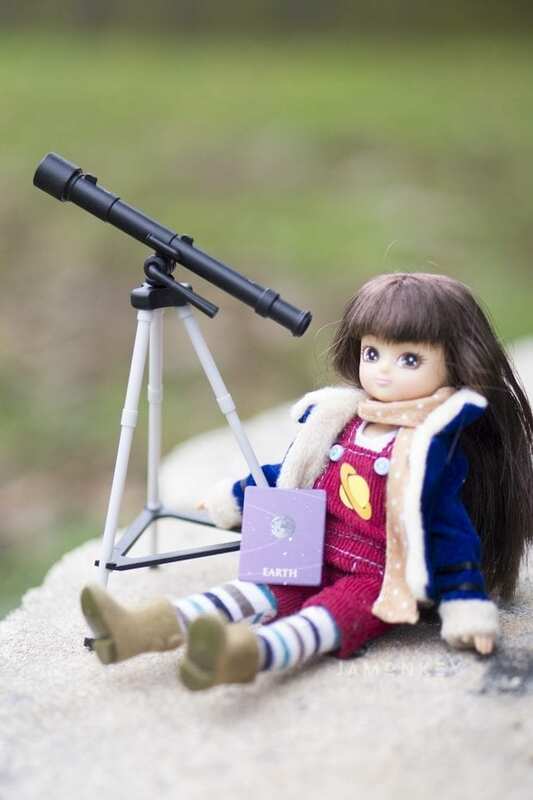 The other is that the STEM-focused dolls are great for young girls to be inspired and proud of their hobbies. Each of the dolls comes with a “Women in” card that shares women in the profession that the dolls them is. So the Stargazer has a Women in Astronomy and the Fossil Hunter has a Women in Paleontology card with it. The girls loved reading about these wonderful women throughout history. Check out our S.T.E.A.M. Saturday Lottie Doll video. I love that the accessories that come with the dolls go along with the theme. The Fossil Hunter has a couple of fossils as well as the tools you would expect a paleontologist to use. This makes the imagination fun also a learning one. After you have a Lottie Doll , you can buy awesome outfits to go along with them. We received the Astro Adventures Outfit because every aspiring astronomer dreams of being in space one day. They have lots of outfits and accessories that you can get for your dolls. The Canoe Adventure Playset is next on our list. We think these dolls are fantastic! You can find Lottie Dolls on their website or on Amazon . I would love one of these Lottie dolls for my daughter. Both are really nice dolls. I would pick the Stargazer doll first. I would choose Star Gazer. I think they are both adorable but I would choose the Stargazer doll. I just bought my granddaughter a small telescope to use outside. She would love the doll too! I would choose Stargazer for my daughter. 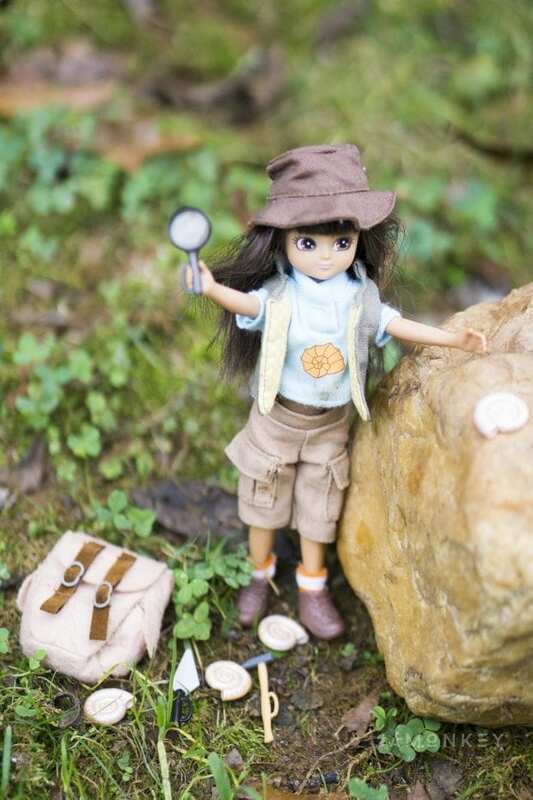 I would choose Fossil Hunter for my little cousin, she would love it! Stargazer because my sweetie likes looking at the stars. I would choose the Stargazer doll! FOSSIL Hunter….. We search for fossils and arrowheads all the time. I’d choose the Fossil Hunter Lottie Doll. I would pick the stargazer! My daughter loves dolls she can relate to, that’s a reason why she has been so obsessed with another brand of dolls. This brand is more afforsable. I would choose the fossil hunter doll. I would chose the stargazer. This would be for my niece who LOVES dolls and has become obsessed wtih her turtle that puts out the stars on the ceiling .